Drones seem to be everywhere nowadays. These unmanned aerial devices are now delivering life-saving medical supplies in the developing world, boosting agricultural yields with new “precision farming” methods and cracking into mainstream culture via high-stakes drone racing competitions that may rival NASCAR someday. In one test case, a drone has delivered a package of treats to a Nevada family from a nearby 7-Eleven convenience store. But the drone invasion doesn’t stop there: now, in an effort to save the endangered black-footed ferret, the U.S. government is planning to deploy drones that will airdrop vaccine-coated pellets of food over their habitats. 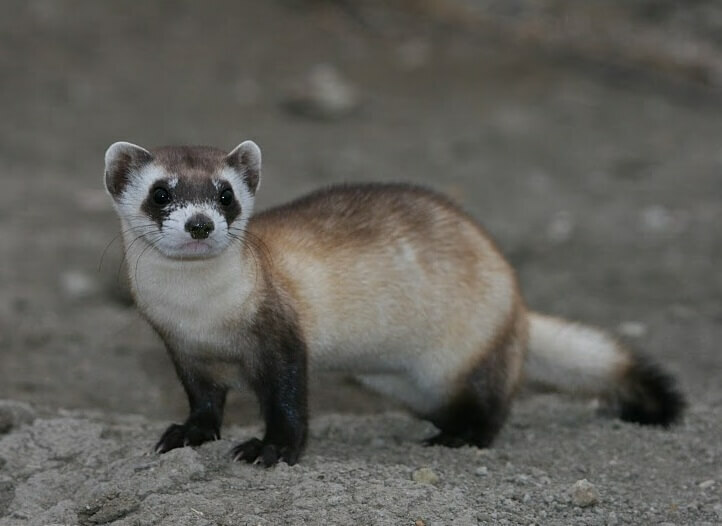 The vaccine is designed to protect the black-footed Mustela nigripes — North America’s only indigenous ferret, of which only 300 remain in the wild — and the humble prairie dog. Both species are extremely susceptible to sylvatic plague, an infectious disease caused by the bacterium Yersinia pestis, which is transmitted through flea bites. These fleas were brought over more than 200 years ago by ships and their rats plying the trade route between Asia and the North American West Coast. So why do prairie dogs need to be vaccinated as well? Well, officials at U.S. Fish and Wildlife (FWS) plan to target these burrowing, plant-eating rodents because they are the main prey for the black-footed ferret. Interestingly, prairie dogs are also their primary habitat provider, since ferrets often co-opt prairie dog burrows as protective shelter for raising their young. 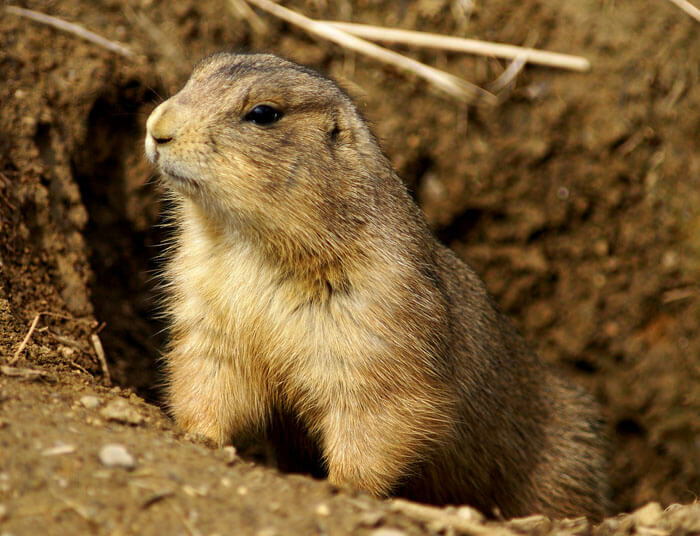 Thus, prairie dogs are considered an important “keystone” species in these western grassland regions, meaning that other species like black-footed ferrets, coyotes, owls and eagles largely rely on them for their ongoing survival. The deadly sylvatic plague is now spreading eastward, with a mortality rate at times reaching 100 percent during outbreaks in prairie dog colonies. If prairie dog populations decline and disappear, so too will many of these other animal groups that are dependent upon them. According to FWS biologist Randy Machett who spoke with The Guardian, the specially designed, GPS-guided drone has been outfitted with a “glorified gumball machine” that will shoot out vaccine-laced pellets in three directions at the same time, allowing it to provide a uniform distribution rate of 50 baits per acre, and covering up to 60 acres per hour. FWS estimates that drone delivery will be 10 to 30 times faster than previous delivery techniques on foot. No doubt this new method will be a vast improvement over traditional methods of spreading the treatments on the ground by hand, or individually injecting the animals with vaccines or depending on insecticides that fleas can eventually become resistant to. The agency plans to roll out a trial run in the UL Bend National Wildlife Refuge in north-eastern Montana during the next few months. If all goes well, the next step would be to launch similar drone-aided conservation efforts to protect endangered ferret populations in Arizona and Colorado. Perhaps predictably, there has been some pushback against the FWS’ unconventional plan, mainly from local farmers who consider both prairie dogs and black-footed ferrets to be pests. Both populations have declined not only from the ravages of the sylvatic plague but also from humans shooting them and converting their habitats into farmland. Read more over at US Fish and Wildlife [PDF].